Currently, every organization on the planet operates in the same exact manner, each within its own specific silo. Each silo has its own way of doing things. Each silo is disconnected from every other silo. But we live in a networked world, where everything is connected. One in which we network within, across and between organizations. So how is it that our real world networks aren’t networked? 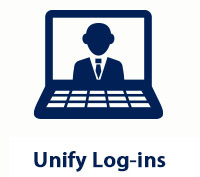 That’s what we do here at IntroSTAR… We consolidate all of a company’s membership, sponsorship and networking activity to a single unified desktop. 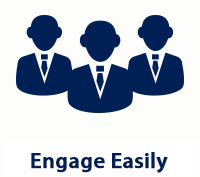 Our service allows members to engage with organizations, consumers and each other easily. 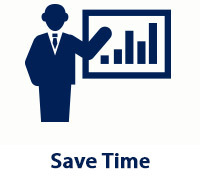 We save member’s time by streamlining processes and eliminating redundancies. And yes, we help members make money. To create a desktop shortcut for IntroSTAR, please open IntroSTAR.com on your web browser and follow the instructions below for the browser you are using. 1. Open the IntroSTAR website in your browser. 2. Click the Chrome menu Chrome menu on the browser toolbar. 4. Select Create application shortcuts. 5. In the dialog that appears, choose where you'd like the shortcuts to be placed on your computer. 7. When you double-click a shortcut icon, the app opens in a special streamlined window that doesn't display tabs, buttons, the address bar, or menus. To access common page options, click the page logo in the top left corner of the window. 2. Click the "Resize" icon in the upper-right corner of the Firefox window. This icon is shaped like a square and is next to the close icon in the corner. Both the Firefox window and your desktop should now be viewable at the same time. 3. Click and hold the site icon, located directly to the left of the address bar at the top of the Firefox window. 4. Drag the site icon to any empty location on your desktop. 5. Release the mouse button to create the Firefox website shortcut. 2. Left click the File drop down menu item in the top of the browser. 5. A pop-up window will confirm this action "Do you want to put a shortcut to this website on your desktop?" 7. This action creates the shortcut on your desktop. 2. Resize the Safari window so you can see both your computer's desktop and the Safari window on the same screen. 3. Click the icon on the left of the address bar (where the URL is shown). 4. While still holding the mouse button down, move the pointer to the desktop, then release the mouse button. The shortcut will be created. Your smartphone or tablet’s home screen isn’t just for apps. Whatever platform you’re using, you can pin IntroSTAR website to your home screen so you can quickly access it. Some platforms offer bonus features. For example, Chrome for Android opens it in their own window with no browser interface, while Windows 8 and Windows Phone offer live tile updates. Launch Chrome for Android and open the IntroSTAR website. Tap the menu button and tap Add to homescreen. You’ll be able to enter a name for the shortcut and then Chrome will add it to your home screen. The icon will appear on your home screen like any other app shortcut or widget, so you can drag it around and put it wherever you like. Other popular Android browsers also offer this feature. For example, Firefox for Android can do this if you tap the menu button, tap the Page option, and tap Add to Home Screen. Launch the Safari browser on Apple’s iOS and navigate to the IntroSTAR website. Tap the Share button on the browser’s toolbar — that’s the rectangle with an arrow pointing upward. It’s on the bar at the top of the screen on an iPad, and on the bar at the bottom of the screen on an iPhone or iPod Touch. Tap the Add to Home Screen icon in the Share menu. You’ll be prompted to name the shortcut before tapping the Add button. The shortcut can be dragged around and placed anywhere, including in app folders — just like a normal app icon. (To create app folders on iOS, touch-and-drag an app’s icon onto another app’s icon and hold it there for a moment.) When you tap the icon, it will load the website in a normal tab inside the Safari browser app. Other browsers, like Chrome for iOS, don’t offer this feature. Due the limitations in Apple’s iOS, only Apple’s own Safari browser is allowed to do this. Windows 8, 8.1, and RT devices also offer a way to pin websites to your Start screen. This is obviously most useful on tablets, not on desktop PCs where you don’t want to see the Start screen. On the Windows desktop, you can pin IntroSTAR website shortcuts to your taskbar for easier access. First, open the modern Internet Explorer browser — that’s what you’re probably using on a tablet, anyway, as it offers the most touch-optimized experience. Navigate to the IntroSTAR website, pull up the app bar — for example, by right-clicking or swiping up from the bottom of your screen — and tap the star icon. Tap the pin icon, enter a name for the shortcut, and click Pin to Start. The IntroSTAR website will appear as a tile on your Start screen. For windows 10 device, open Internet Explorer and open IntroSTAR website. Then, tap more, on the bottom right side of the screen. From the list of options displayed, tap pin to start. A tile is created on the Start screen, which you can use to quickly open IntroSTAR website. Please enter your email address and click reset password, we will email you your temporary password. Please reset your temporary password during your first login. 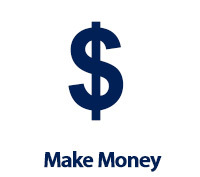 Provide Value… “Are my members making money?” That’s the only question that really matters. If the answer is “I’m not sure,” the organization is flying blind and suffering through a death match between attrition and retention, one in which attrition normally wins over time. If the answer is “Sometimes” the organization is stable. Some come, some go but the numbers more or less even out. But if the answer is “Absolutely!” hyper growth is likely. IntroSTAR empowers organizations, enabling them to generate tangible, meaningful results that clearly prove that businesses are getting a return on their membership investment. Complete the form below and let us show you how we can Grow Together. Connect Your Community… A powerful, yet undeveloped asset possessed by all non-profits is the emotional connection between its business and private supporters. Complete the form below and let us show you how we can Solidify That Connection to the benefit of your organization and those that care about your mission. Grow... The single greatest way to grow a business is through personal introductions. But the problem with word-of-mouth marketing is you can’t manage what you can’t measure. With IntroSTAR, you’ll Know Exactly which organizations and business relationships are helping you grow. Your track record of helping others will also be at your fingertips. But there is one catch. IntroSTAR is not social media. IntroSTAR is a tool that aids real world networking. In order to gain access to IntroSTAR and the dynamic growth that goes with it, you’ll need to be a member of at least one of our partner organizations. Apply to one and get started today! Work With The Best… If a company is doing good community service, chances are they are doing great customer service too. Use IntroSTAR to connect with Connect With High Quality Companies that are engaged in, and care about your local community. Please note, IntroSTAR’s service area is limited. Check back as more zip codes come online!